Love avocados? Do you normally scoop out the pulp, slice it up, and serve the avocado all by its lonesome as a garnish or topping? Well, I'm about to rock your world! 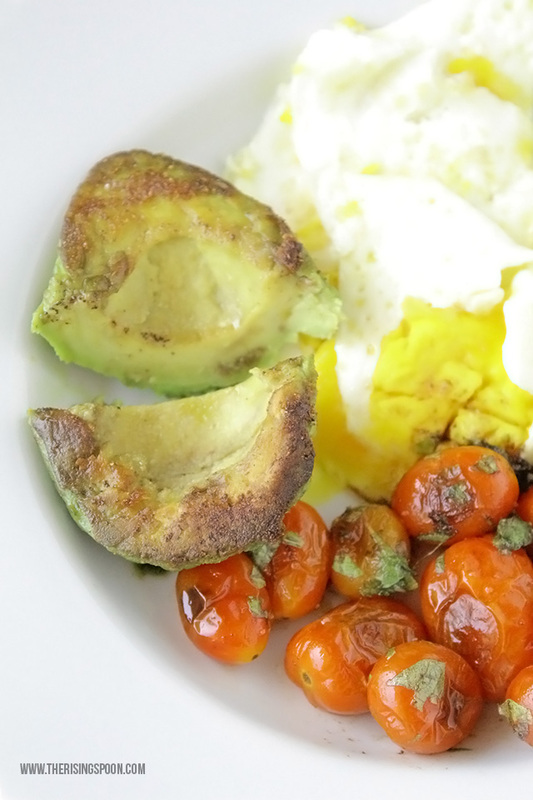 Say hello to one of my favorite healthy breakfast recipes: pan-fried avocados! Because of its simplicity, it's more of a technique than a recipe, per say; however, I never deviate from the steps, lest I mess up this heavenly dish. 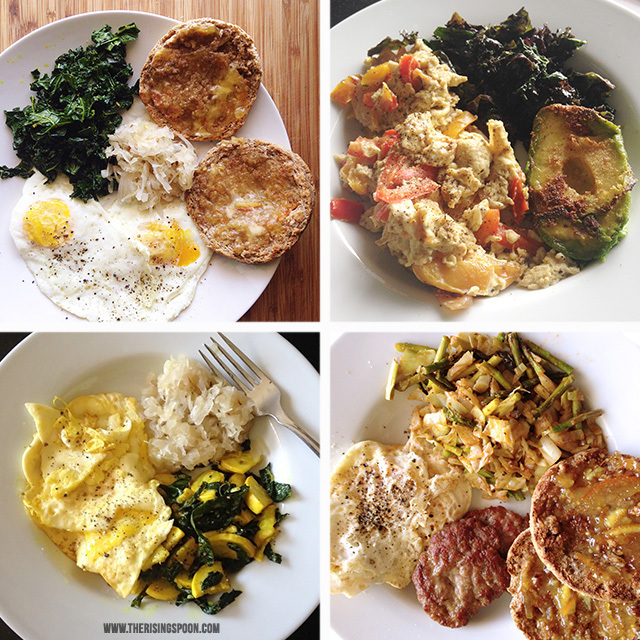 A number of years back on my real food journey, I discovered that when I started my day with a savory breakfast that was low in carbs (i.e. no pancakes, doughnuts, waffles, regular toast, cereal) and had plenty of protein, veggies, and fat...well, I felt amazing! No more late morning sluggishness, brain fog, and the need for 2-3 extra cups of coffee to keep me going. Trust me...I still start out my day with a cup of bulletproof coffee (I love coffee too much to give it up), but that's usually the only caffeine I consume all day. So What Do I Eat For Breakfast on an Average Morning? Usually two over-easy pastured eggs, sauteed veggies, 1/2 a pan-fried avocado (if I have ripe avocados on hand), and a small serving of cold sauerkraut or kimchi (to support healthy gut bacteria and digestion). Sometimes if I want more carbs, I'll toast a sprouted grain English muffin, which don't bog me down. I love crispy bacon and breakfast sausage, but usually save them for the weekend when I'm cooking for at least two people. 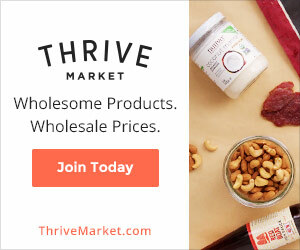 Here are a few pictures I took from my instagram (hey, I'm a foodie, so I like to photograph my meals--no surprise there), if you'd like a visual of my go-to savory breakfast recipes on weekdays. Yes! And dang delicious. The most popular way to eat avocado is in guacamole. Don't get me wrong, I could eat a bucketful of guac with some cheesy oven-baked nachos and margaritas. But let's not limit ourselves. Guacamole is not the be all end all of avocado recipes, and since avocado is a healthy food, I'm all for diversifying the ways I incorporate it into dishes. avocado is full of monounsaturated fatty acids, similar to olive oil! lastly (a random tidbit): like bananas & peaches, avocados give off ethylene gas, which is a natural, odorless gas that triggers the ripening and aging process in fruits and veggies. So, if you want to ripen them faster, place them together in a brown paper bag or next to a bundle of bananas. For more info on the health benefits of avocados, check out this post. Seasoning your avocado halves and then pan-frying them for about five minutes in your favorite cooking oil creates a crispy crust, warms and softens the avocado a bit, and gives it a garlicy, salty flavor. Trust me when I say that if you've been eating avocados plain and/or at room temperature your whole life, this technique is a foodie revelation. And while I love serving this for breakfast, pan-fried avocados are also excellent vessels for shredded meats (like my pulled pork stuffed avocado halves), eggs, veggies, and salads. They make a great appetizer or side dish for evening meals. Looking for healthy breakfast recipes that involve avocados? 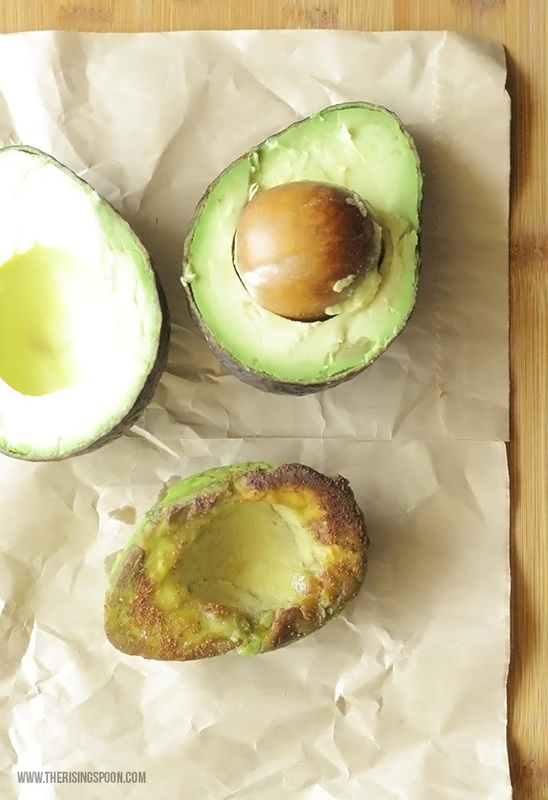 This quick and easy technique is my favorite way to fix avocado for any meal! Try this once and you may never go back to eating it plain. Place a small skillet on medium heat, let it warm up, then add enough cooking oil to coat the bottom of the pan. Cut the avocado in half, remove the seed, separate the peel from the pulp using a spoon, and discard the peel. Sprinkle the flat sides of each half with an even layer of granulated garlic, then place face down into the pan. 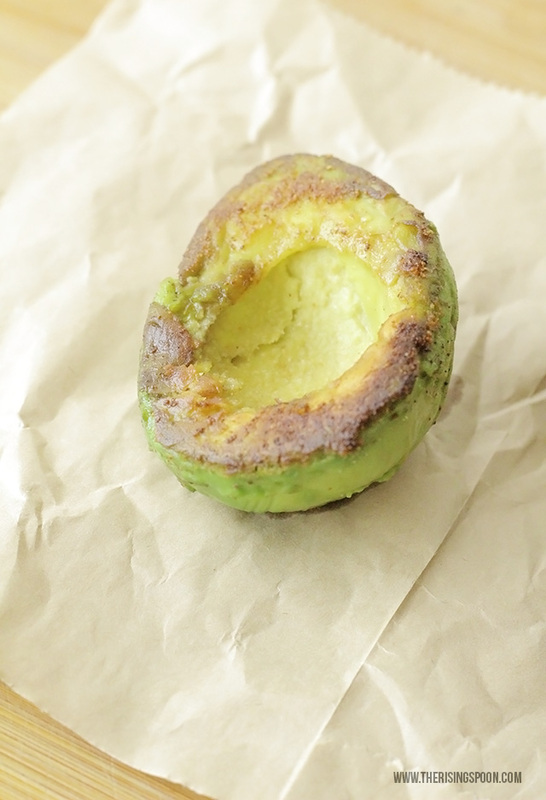 Cook for about five minutes, or until a golden crust forms on the avocado. It may take a bit longer if your pan wasn't hot enough when you started. If you want more surface area on the avocado "crusty" then sprinkle the other sides with garlic, cut the avocado in half or quarters, and flip the pieces in the pan until they're cooked, as well. Remove from the heat, sprinkle to taste with sea salt and serve immediately. This will taste the best when you are using ripe avocados that don't have any black spots on the interior pulp. If you do see any black spots (a sign that it's over ripe) when you cut it open, simply scoop out those parts with a spoon, discard, and use the rest. What's your favorite dish that incorporates avocado? This post has been shared at What's Cookin' Wednesday.